Find Georgetown, CO Homes for sale. View Photos, Maps and MLS Data Now! You won't find anything like it~ Come check it out! MLS#4113814. Colorado Home Realty. Don't miss out on this incredible opportunity! MLS#2490680. LIV Sotheby's International Realty. (Buyer to navigate allowable septic transfers with cnty based on intended usage prior to close) MLS#8335164. Keller Williams Foothills Realty, LLC. 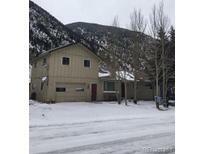 Great 2nd home in the mountains and can be used as vacation rental with town permit. MLS#4769754. ARGENT REAL ESTATE. These statistics are updated daily from the RE colorado. For further analysis or to obtain statistics not shown below please call Highgarden Real Estate at 720-580-6921 and speak with one of our real estate consultants.